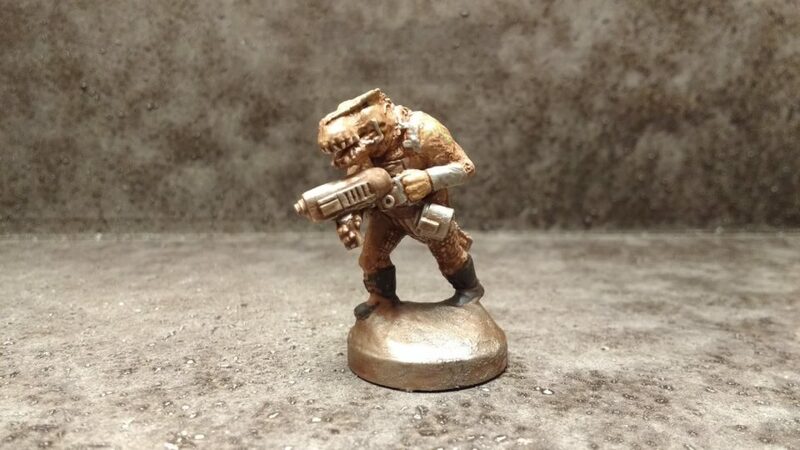 I plan to use the Garn Warriors from Khurasan Miniatures as Vesk in the Starfinder. I didn’t completely assemble this one – there’s suppose to be a hose running from the ammo container on it’s belt to the weapon – but I’m still pleased with how this test model turned out. I’ll be more adventurous with coloring next time and might even try my hand at modding this. I haven’t had good luck modding pewter…but no time like the present to learn. I think I’m getting slightly better at eyes – at least looking back at miniatures from last year I cringe – though I’m still floored by the detail some people capture on faces. It’s very impressive. In any case, as is standard now I dipped the Garn Warrior in polyurethane and sprayed with a matte varnish for double protection. 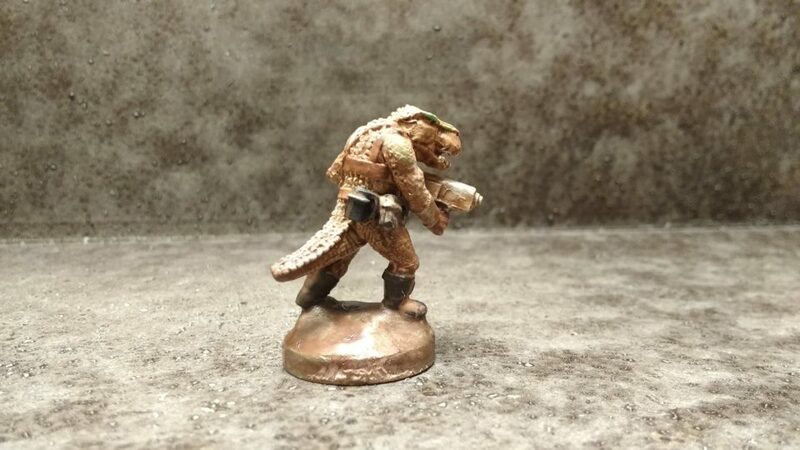 It was also the second miniature to use my makeshift photo box.